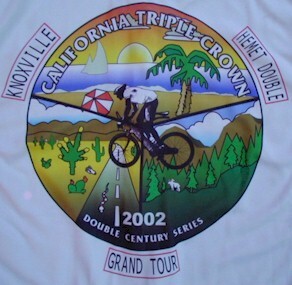 White High Quality Polyester/Cotton T-Shirt with the California Triple Crown logo on the back surrounded by the names of the Double Centuries you completed successfully!! 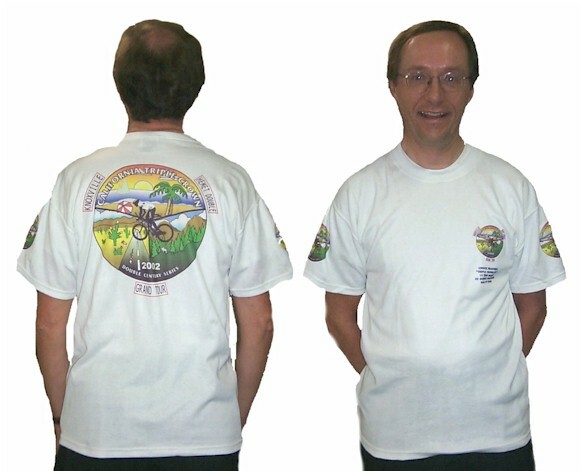 On the front of the T-Shirt, a miniature of what appears on the back is reproduced in the Shirt Pocket area, followed by up to 5 lines of Custom text!! 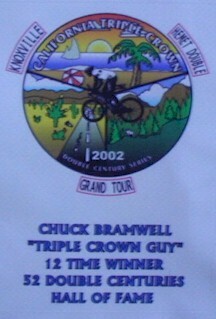 California Triple Crown logo in 5 Brilliant Colors added on each sleeve! !